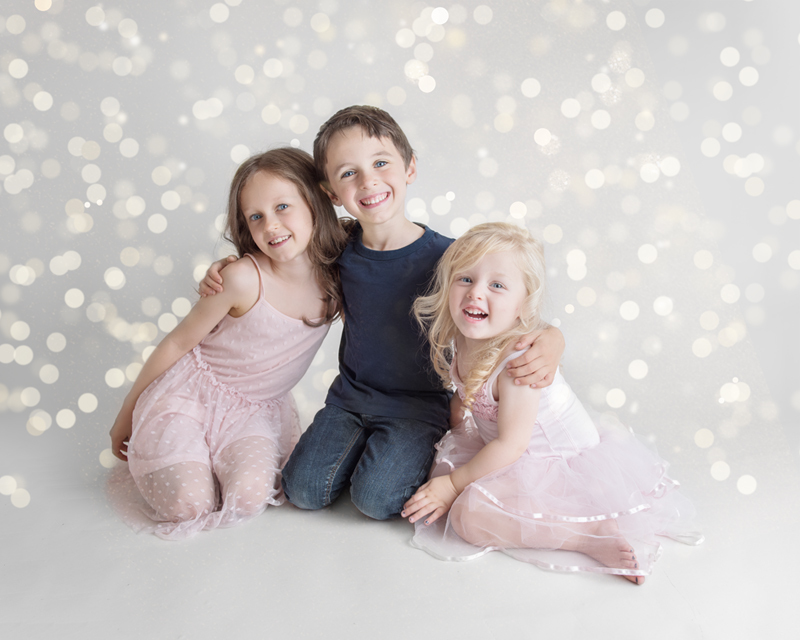 These Christmas-themed shoots will last around 20 minutes, perfect for short attention spans! Each 20 minute session consists of 3 different setups: a sparkly festive scene, a ‘waiting for Santa’ window scene, and a bed scene (see the video further down the page for examples). All sessions are in my warm and cosy log cabin studio in Churchdown, Gloucestershire, and will take place on Friday 2nd November, Saturday 3rd November, and Sunday 4th November, between 10am and 5pm. Photo sessions are suitable for a maximum of 3 children (from 6 months old, or able to crawl or sit up), and parents are welcome to join in for a couple of photos if they wish! Festive images are available to download within 48 hours of your photo shoot. Your price is fully inclusive – all the available options are below. The perfect Christmas memento! £30 is required to secure your session (paid at the time of booking), and the remainder is due when downloading your images (when you will have the option to choose 3, 5 or 10 images). Please keep reading below the video to find out about the charity I have chosen to support this year with part of the proceeds from my festive mini sessions. Every year, I try to support a charity close to my heart by donating a percentage of the proceeds from some of my sales. 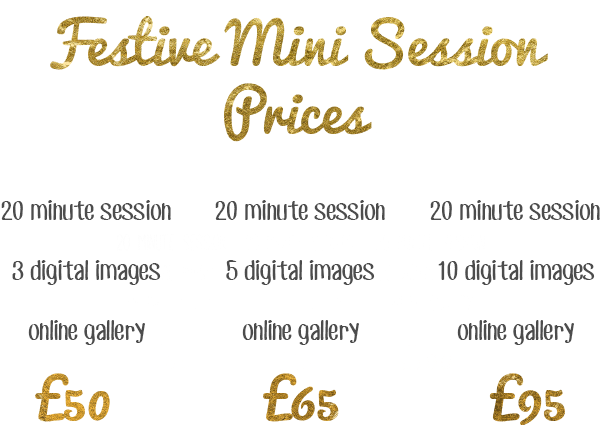 This year, I have chosen to donate 10% of the proceeds of my festive mini sessions to the Dementia Carers Count. More funding is desperately needed to help the charity provide crucial support for the families that are affected. For information about the charity and the tireless work they do, or to learn more about dementia, please use the above link. If you have any questions about my festive mini sessions, please email me at hello@beckynewtonphotography.co.uk or send me a message via my facebook page.